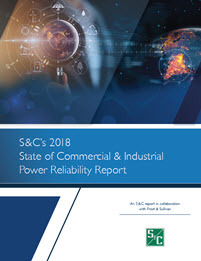 In S&C Electric's first State of Commercial & Industrial Power Reliability report, conducted in collaboration with Frost & Sullivan, facilities and energy managers of commercial and industrial (C&I) businesses across the United States were surveyed regarding their perspectives on power reliability and future energy needs. Averaging $4 billion in revenue, these companies comprise the majority of the metered revenue for the utilities serving them. Respondents’ opinions authentically portray the industry’s current conditions, and their long-term needs heavily influence the future grid. These respondents are the key decision-makers who select electricity commodity suppliers across the manufacturing, data center, healthcare, small franchise and education sectors. They were screened and selected according to their relevance and authority to make power-related decisions and, consequently, 76% come from facilities management, corporate management, or operations. Their companies represent a balance in size, with their monthly energy consumption ranging from 10 MWh to more than 50 MWh. In total, the 251 survey respondents were pulled equally from the four census regions of the United States, and along with their targeted job function, they make up a statistically significant sample size that depicts the true state of C&I reliability. 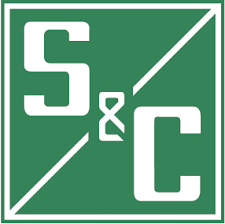 Download the full report from S&C to learn more about what leaders in the commercial and industrial businesses across the U.S. have to say about power reliability and future energy needs.